March 27th – April 2nd was this year’s UK Non-Native Species Secretariat (UNNS) Invasive Species Week. During the week NNSS teamed up with Defra to spread awareness of what invasive species are, which pose a threat to the UK, and how to prevent them from spreading. But what is an invasive species? To answer that question we must first understand non-native species. A non-native species is described as any organism that was brought into the country unnaturally and now has a stable population. This can happen on purpose, for example by introducing certain plants to prevent ground erosion, or by introducing a predator for a particular pest organism as a biological control. However, the introduction of non-native species can also happen by accident; species could be carried inconspicuously across seas on ships, or unknowingly imported in the soil of potted plants within aeroplane cargo. It is important to note that not all non-native species cause harm to their new home, but some do, and these are considered invasive. The classic example of a problem caused by invasive non-native species is damage to the ecosystem. The introduction of a new species can have drastic effects on both native populations, which may be food or predator to the invader, or on the habitat itself. Invasive Species Week 2017 has highlighted the Asian hornet as a key bug to look out for, as it causes great ecosystem damage. The NNSS have described the hornet as a highly effective predator of insects, including honey bees and other beneficial species, and therefore its appearance in Britain could be very bad for UK pollinators. It is thought that hornets had been introduced to Britain through the import of flowers, soil or wood. Overall, invasive species are considered one of the major causes of loss of biodiversity. 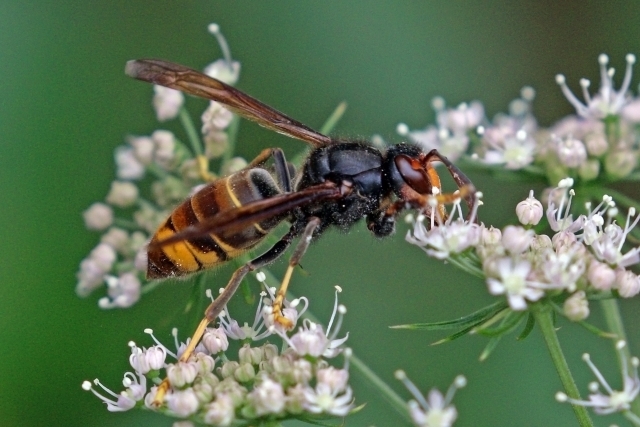 The invasive Asian hornet, a potential threat to UK pollinators. But it is not just the ecosystems that are affected. Invasive non-native species have been estimated to cost the UK economy about £1.7bn a year. An infamous example is the Japanese Knotweed, an extremely fast-growing plant that was first introduced to the UK as a pond ornament, but has now become known for damaging flood management and buildings. Japanese Knotweed is extremely expensive to remove and dispose of, as it only takes a fragment of the plant left for it to grow again, finding the plant on the premises can severely affect selling or insuring your house. It cost the 2012 London Olympics £70m to clear knotweed from the building site for the Olympic Park. Another invasive non-native species, Russian zebra mussels, most likely brought over on ship hulls, have cost Anglia Waters thousands of pounds per year to filter and remove from water pipes and reservoirs. 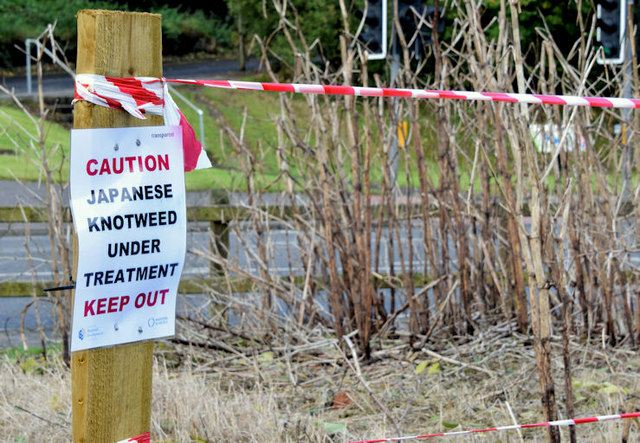 Removing Japanese Knotweed is an expensive and labourious process, which can cost millions. So what can we do to solve this invasive issue? A major solution is to stop the spread of damaging species, both locally and internationally. Being aware of what species you may be inadvertently moving between areas, (e.g. through soil on your shoes) is an essential way that we can help prevent spread. Legislation has been put in place by the UK Government to regulate what is brought into the country, so it is important to understand these rules and what species they are relevant to. The NNSS website provides plenty of information on identifying and dealing with invasive species to the UK, by providing easy to use fact sheets. There’s even an app you can download for identifying and recording Asian hornets this year! Invasive non-native species are a key problem for both people and ecosystems in the UK, but increasing public knowledge and awareness of these organisms will be vital in stopping their spread, and preventing future invasions.